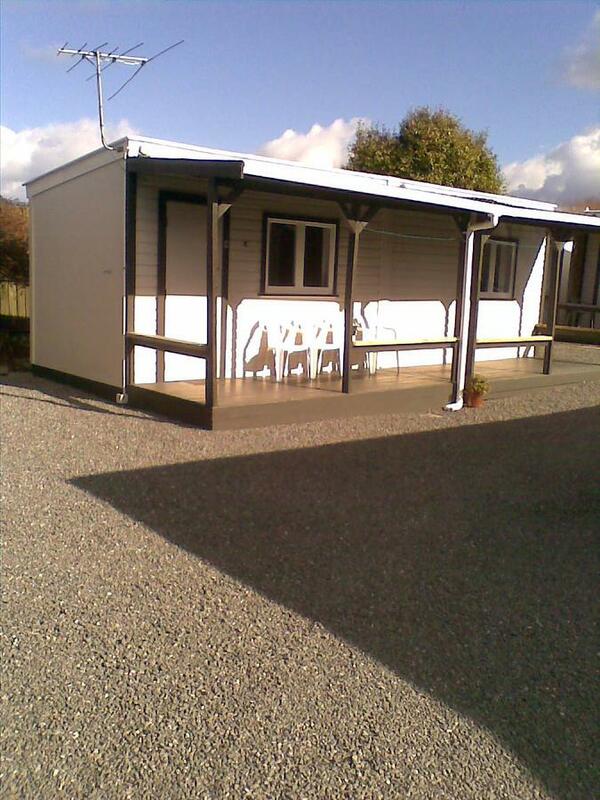 Here at the Waiteti Trout Stream Holiday Park, we cater for a wide range of travellers and budgets, making us popular with holiday makers, backpackers, families, and groups alike. Choose from our great range of tent sites, powered sites, private lodge rooms, kitchen cabins, or park motel units all within a few steps of the world famous Waiteti Trout Stream. The lakefront is a short stroll from the park. If you need to accommodate a larger group such as a sports team or school group, we can cater for your needs in our custom built lodge. 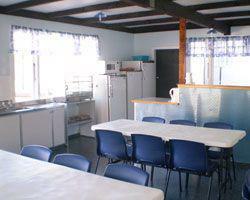 Our fully equipped camp kitchen facilities are perfect for group self-catering. 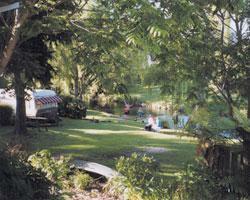 If you are travelling New Zealand on a budget, our backpackers accommodation offers excellent value for money. Whatever your choice of accommodation, you will be able to enjoy our beautiful park like surrounds and excellent facilities. We pride ourselves on being friendly, helpful and informative; anything we can do to make your stay at our holiday park a memorable experience. Check out our hot deals. Seasonal rates apply. Minimum stay may apply at peak times. Free cot and highchair available from reception. Please advise at time of booking. 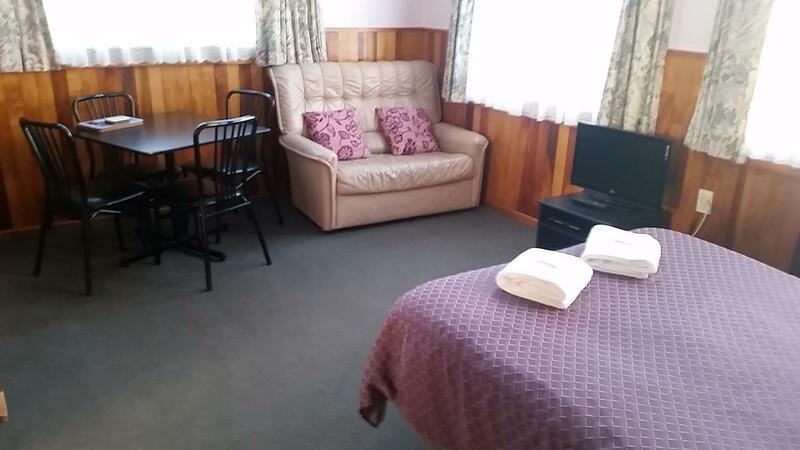 The two-bedroom Park Motel is the perfect budget accommodation for a family or small group to enjoy a holiday in a large fully self-contained unit. 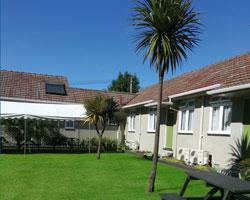 The two-bedroom motel is situated next to a private garden area with BBQ & picnic tables. 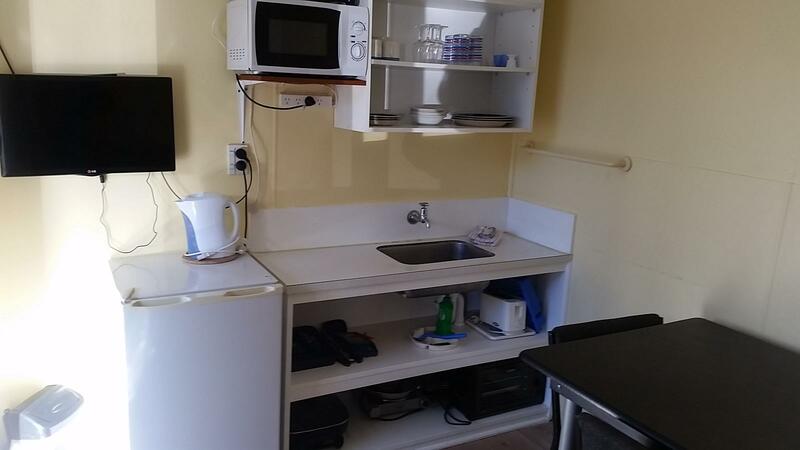 The motel has a fully equipped kitchen with microwave, double cook top, small oven, fridge/freezer, toaster, electric jug, pots & pans, dinnerware & all utensils. 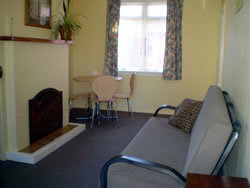 Separate dining room and lounge includes heat pump, 32inch TV & DVD. 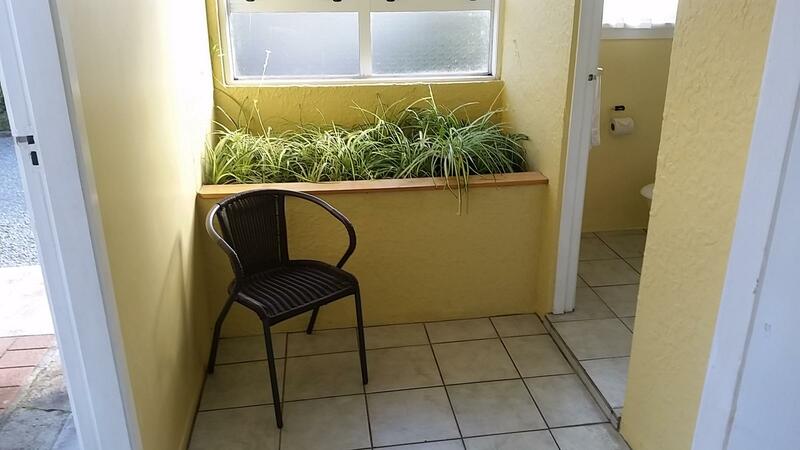 Private bathroom in the motel with shower. Linen and towels are supplied and an electric blanket is fitted on the queen bed during winter. Complimentary tea, coffee, sugar and milk supplied for the first night. Additional Guests: $25 per adult, $20 per child. Bedding configuration: Queen bed in main bedroom, 2 single beds in the second bedroom, 1 divan bed and double sofa bed in lounge. 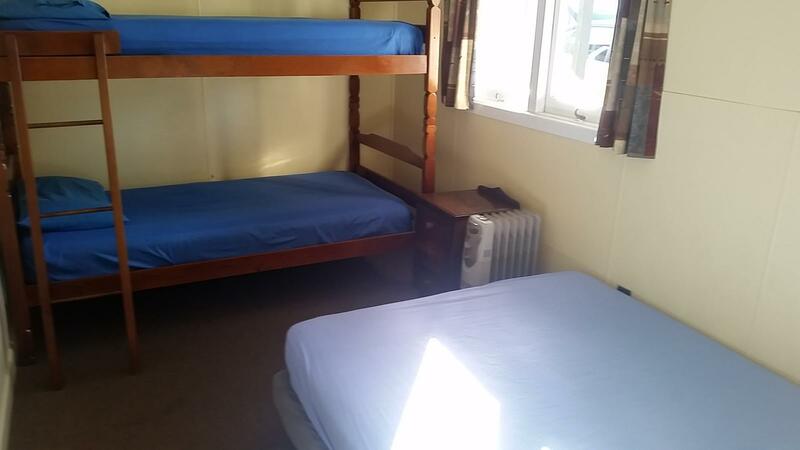 If you are looking for a neat and tidy budget motel room with all facilities to make your stay completely self-contained then our one bedroom Park Motel is perfect. 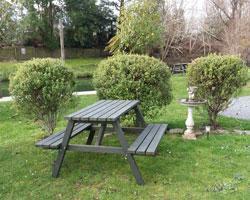 Large motel unit opens out onto private garden area with BBQ & picnic tables. 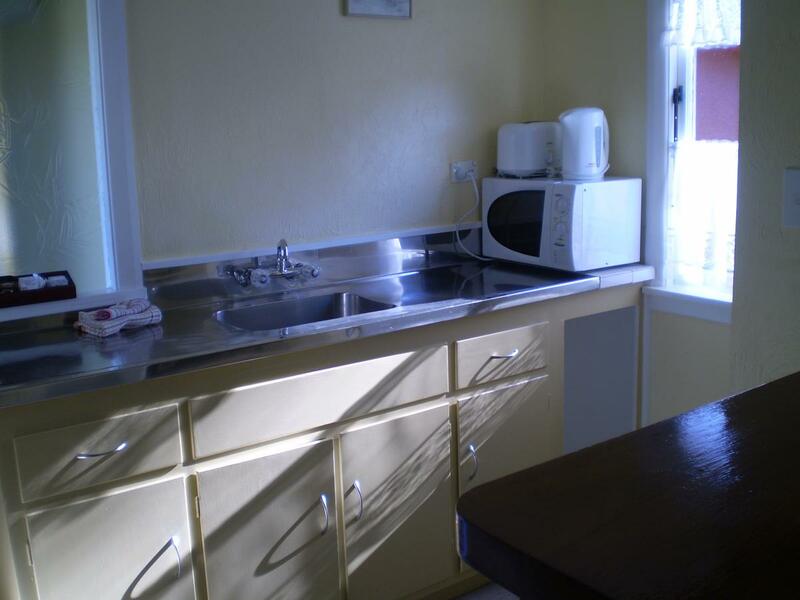 The motel has a fully equipped kitchen with microwave, double cook top, small oven, fridge/freezer, toaster, electric jug, pots & pans, dinnerware & all utensils. 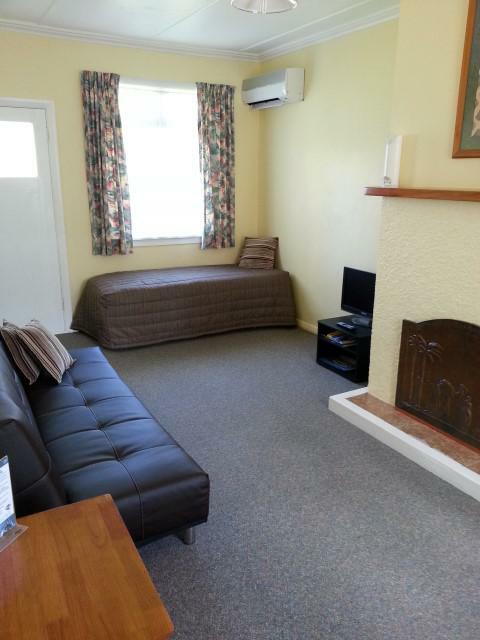 Separate dining room and lounge includes heat pump, 32inch TV & DVD. Private bathroom inside the motel with shower. Linen and towels are supplied and an electric blanket is fitted on the queen bed during winter. Complimentary tea, coffee, sugar & milk are supplied for the first night. Bedding configuration: Queen or double bed bed and a single bed in bedroom, and divan bed and double sofa bed in lounge. 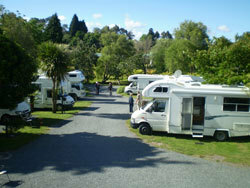 Our older style self-contained units are perfect for budget conscious travellers, small families or groups. 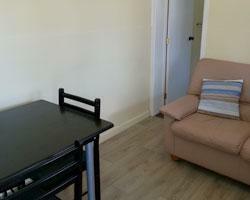 Main room has double bed, dining table, couch, heater TV & DVD player. 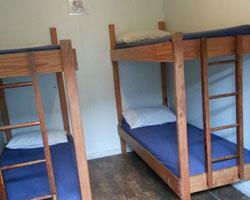 A Separate bedroom has a single bed & set of bunks. 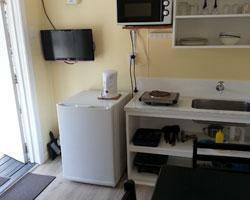 Unit has fully equipped kitchen with stove, microwave, fridge/freezer, toaster, electric jug, pots & pans and all utensils. Private bathroom with shower, toilet & vanity. Linen and towels are supplied. 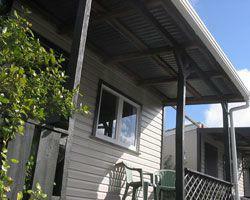 Perfect budget accommodation for couples or small families. 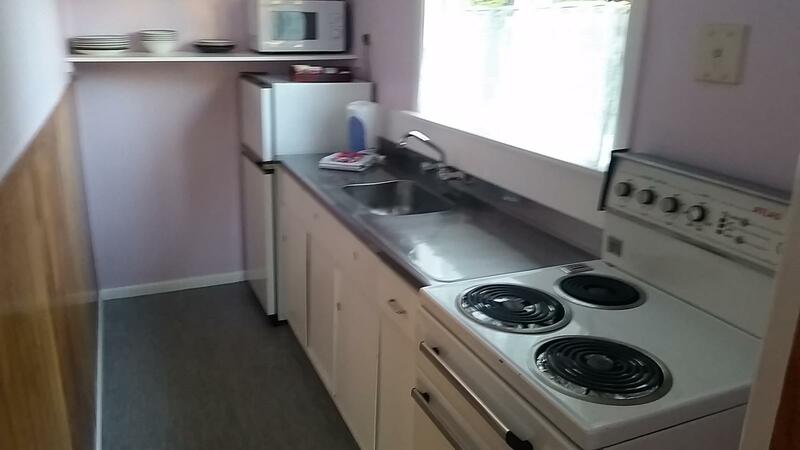 The two-room kitchen cabin includes double bed & set of bunks in bedroom with a small kitchen including fridge, microwave, hot plate, small benchtop oven, toaster, electric jug, table & chairs, a heater & TV. Guests make use of the shared camp bathrooms. Beds supplied with fitted sheet, pillow and case. Linen hire available for duvet, sheet & towels. Additional Guests: $18 per person. 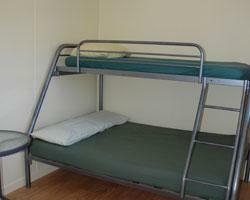 Bedding configuration: Double bed and set of bunks. Perfect for singles or couples, the one room kitchen cabins have a single room with a small kitchen including fridge, microwave, hot plate, toaster, electric jug, table & chairs, a heater & TV. Bedding configuration: Double bed with single bed above. Ideal budget family accommodation, the two-room standard cabin has a double bed & bunks in one room and a divan bed in the other room. 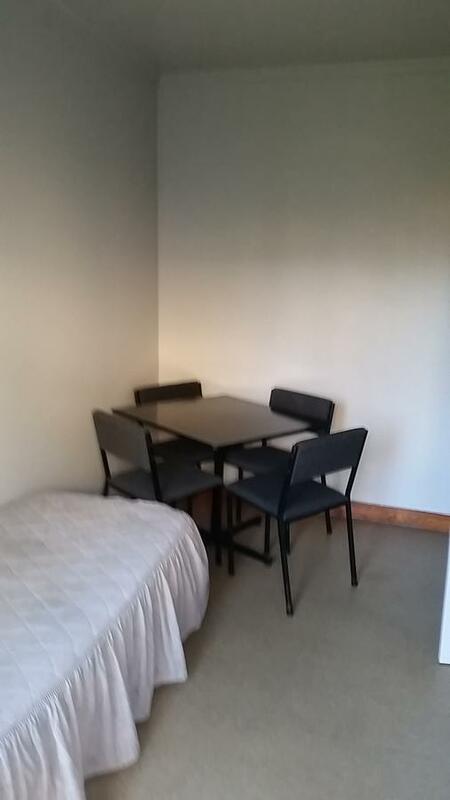 Guests to make use of shared camp bathrooms & camp kitchen. 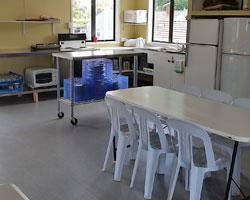 Camp kitchen includes a commercial oven, pots, pans, plates & cutlery so you can prepare your meals. Additional Guests: $15 per person. 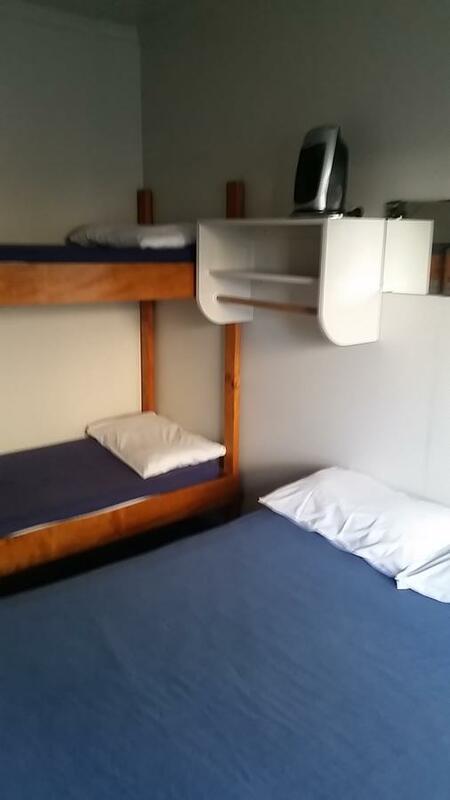 Bedding configuration: Double bed and set of bunks in bedroom. Divan bed in other room. 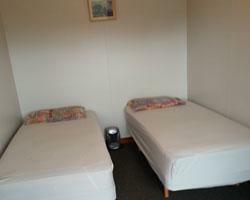 The standard backpacker rooms are suitable for three to four guests. Guests to make use of shared camp kitchen & camp bathrooms. Camp kitchen is fully equipped with commercial oven, fridge/freezer, pots, pans, plates & cutlery so you can prepare your meals. Beds are supplied with fitted sheet, pillow & case. Linen hire available for duvet, sheet & towels. There are heaters in each room. Bedding configuration: Two sets of bunks. 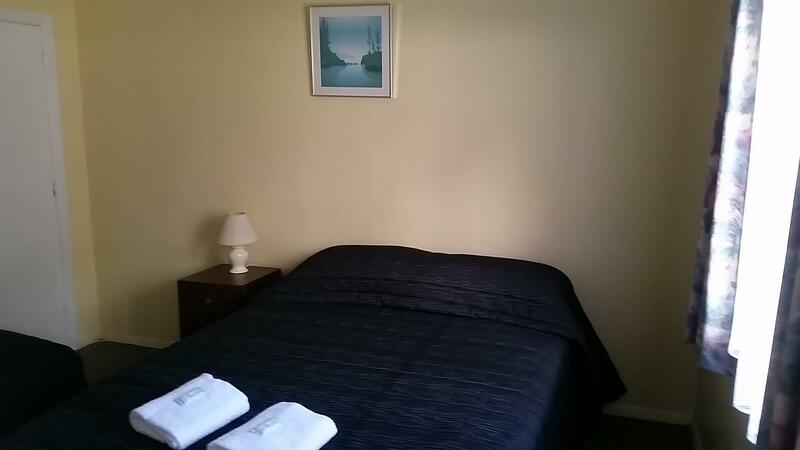 The standard backpacker rooms can be booked for one or two people. The lodge accommodation is ideal for schools, sports teams, clubs and family groups and offers budget accommodation for groups of 15 or more. Please contact us for group pricing so that we can tailor a package to meet the needs of your group. The lodge includes a private, fully equipped kitchen & dining room area with BBQ & TV. 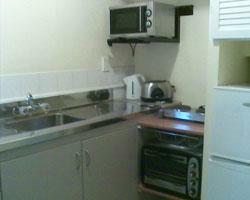 Kitchen includes an oven, fridge/freezer, pots & pans, plates, glasses, mugs & cutlery. Guests use shared camp bathrooms & free showers. Guests can also make use of the camp games rooms with pool table and table tennis. The cosy TV lounge also has Sky TV. Beds are supplied with a fitted sheet, pillow & case. Linen hire is available for sheets, duvets & towel or you can supply your own. Grass or hard stand site with power, water and dump point. Grass site with power available.